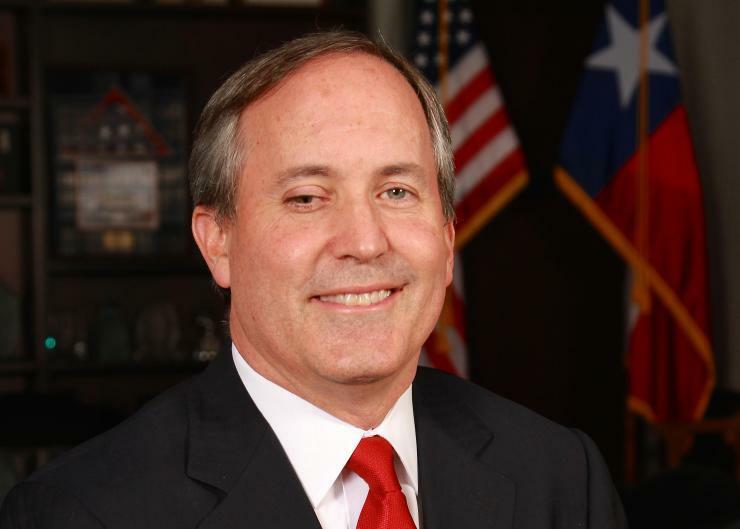 Indicted Texas Attorney General Ken Paxton launched an attack on electoral integrity late Friday night through a blatant voter suppression tactic. The AG praised a claim from the Texas Secretary of State based on Department of Public Safety records that 58,000 non-citizens voted since 1996, and that 95,000 were currently on the rolls. As a result, the Secretary of State now plans to purge the rolls of those names without further validation. Our Indicted Attorney General’s Order to Purge the Rolls is Obvious Voter Suppression. The problems with the claim are numerous. For starters, the AG’s office openly admits to a “weak” match, meaning that the county may decide not to investigate the registrations at all based on the fact that they are indeed weak enough that county clerks are not required to investigate them. In spite of that, all 95,000 will be purged from the voter rolls, without the release of data by the State of Texas. Second, DPS records are in notorious disarray. Citizenship is not tracked, and the closest determining factor is a federal database of social security numbers that must be cross-referenced. Third, the Secretary of State has been under the rule of pro-Paxton forces for years. To turn around and claim a voter fraud problem is to acknowledge fault for failing to do due diligence in the past. Similarly, any claims of limitations on capabilities to do so would fail the reality test, as Paxton allies have also controlled the Texas Legislature. Fourth, the AG’s office’s claim rests on data that dates back to 1996. About 50,000 people per year naturalize in Texas, which amounts to more than one million naturalizations since that year. These voter shave been purged without assessing whether or not they have naturalized since (presuming the initial data is accurate in the first place, which is currently impossible to verify). Fifth, the precarious timing of press releases supporting Paxton’s attack betray collusion between far-right anti-vote forces in the State of Texas. The Texas GOP and several voter suppression groups hiding their true motives behind “liberty” coordinated press releases on the Secretary of State’s position on Paxton’s statement, pushing their message to the public all within a short period of time. Voter suppression attacks are mounting from the Right in Texas thanks to the closeness of the 2018 midterms. Ted Cruz defeated Beto O’Rourke in the Texas Senate race by roughly 225,000 votes, demonstrating that Paxton’s attacks on the right to vote could be significant enough to swing an election. This week, he’s targeting just under 100,000 voters. In the future, the Secretary of State will execute monthly purges using the same criteria. With each and every assault on the right to vote, Paxton reinforces anti-democratic rule in the Lonestar State. Paxton’s anti-democratic position fits cleanly into a multi-pronged assault on democratic institutions in the United States by right-leaning groups and politicians. Earlier this month, Senate Majority Leader Mitch McConnell produced an editorial in the middle of the #TrumpShutdown attacking HR-1, a democracy bill taking aim at dark money, gerrymandering, and corruption in American government. The State of Florida slow-walked their reinstatement of voting rights for former felons in spite of the state democratically approving their right to vote; implementation has yet to be tested. In Harris County, a right-wing movement is forming to oppose voting centers, alleging voter fraud based on claims so bogus they don’t warrant mention. In addition, internal sabotage from the Harris County Department of Education from the Tea Party has forced the department to fire its own representation in Austin, jeopardizing the jobs of more than 1,000 employees and critical education programs in Harris County. Much like the Affordable Care Act and the ongoing normal functioning of the United States government, the right to vote in the Era of 45 can only be safeguarded by action from The People. Tell your Texas State House and State Senate reps to OPPOSE Paxton’s Purge. All contact information for reps is available here. If you do not know who your rep is, you can find them here.